“You have to have some idealism to go into lawyering. You have to want to help people,” said Supreme Court Justice Sonia Sotomayor to the crowd gathered in the Student Union Ballroom. During the October 20 event, Sotomayor discussed how her memoir, “My Beloved World,” has given her a platform to talk about her passion—the law—and to share the stories of her life in order to help others, particularly young people. View the video. In conversation with UC Berkeley Professor of Law Melissa Murray, who teaches constitutional law and clerked for Sotomayor on the U.S. Court of Appeals for the 2nd Circuit, Sotomayor candidly recounted stories of adversity that spurred her on instead of knocking her down. She also admitted that there are “a lot of emotions that come along with being a Supreme Court justice,” and that she often has to pinch herself to make sure it’s all real. While she now walks the corridors of the White House (and occasionally spends time at the homes of celebrities like Jennifer Lopez), she said that staying connected to her family and bringing them along with her on her professional journey keeps her grounded. Everyone needs help sometimes, Sotomayor explained. Throughout the event, Sotomayor spoke directly to the students seated in the first several rows in front of her. When asked about balancing family needs with pursuing an education, she explained to one student, who she welcomed on stage to take a photo with her, that getting an education is the best way to support your family in the long term, no matter the immediate needs. Most of you are here [at San Jose State], despite the economy, because you have hope, she said. 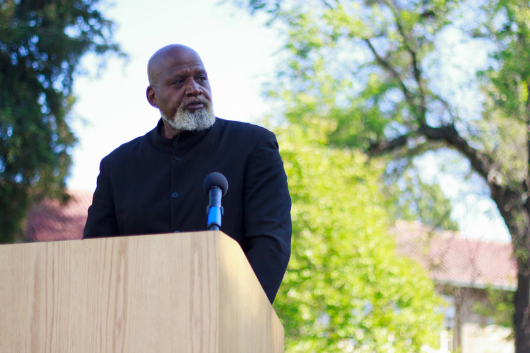 Dr. Harry Edwards, pictured here at the 2012 EOP Graduation, will return to campus for Legacy Week, Oct. 15-18 (Christina Olivas photo). Dr. Harry Edwards, ’64 Sociology, will be the keynote speaker at the Legacy Week Noontime Rally Oct. 16 at the Smith Carlos Sculpture. 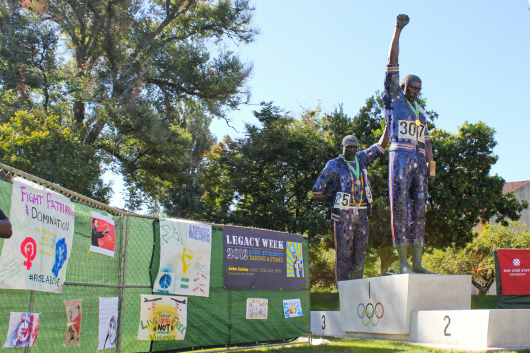 Edwards was a mentor to Tommie Smith and John Carlos, who were San Jose State students when they took a stand for human rights at the 1968 Olympics, a moment immortalized by the sculpture. Much is said about SJSU’s engineering and business colleges powering Silicon Valley. However, SJSU also prepares students to take a critical look at the world around them, engage in meaningful dialogue, and work toward finding solutions to complex issues. Legacy Week activities include a Legacy Wall comprised of original student artwork (Christina Olivas photo). Beginning Oct. 15, Legacy Week shines a spotlight on the leading role Spartans play in social justice. Other activities include: a Legacy Wall comprised of original student artwork; the premiere of a new film series, “Celebrity Legacy Tour: Walking the Campus with Distinguished Alums”; a Legacy Tour, with stops at campus landmarks that symbolize SJSU’s social justice history; and a Legacy Brunch with alumni leaders. Legacy Week is organized by the Cesar E. Chavez Community Action Center, part of the Associated Students of SJSU. Learn more about Legacy Week. Over 900 people representing local governments, businesses, schools, community organizations, and the faith community as well as parents and youths attended Project Cornerstone’s annual Asset Champions Breakfast on Friday, March 23, at the Fairmont San José. 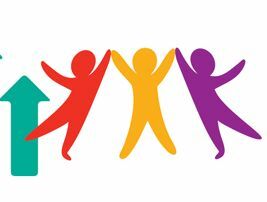 The event honored the individuals and organizations whose commitment to building positive relationships with young people makes Silicon Valley a better place for young people to live and grow. “The programs through our center are successful because they are about youth empowering other youth,” said Maribel Martinez, CCCAC director. The center’s programs include Strive for College, which provides college-student mentors for first-generation, college-bound high school students; Fuerza Escolar, which provides college-student mentors for third, fourth and fifth-grade at-risk youths; and Legacy Tours, which offers campus tours focusing on social justice and student empowerment. CCCAC is part of the Associated Students of SJSU. Project Cornerstone is a YMCA of Silicon Valley initiative. 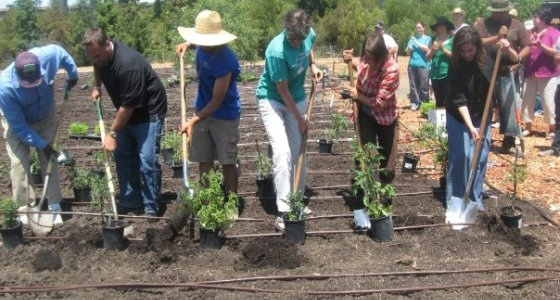 Veggielution empowers youth and adults from diverse backgrounds to create a sustainable food system in San Jose (Amie Frisch image). Join us for our first ever Cesar Chavez Day Celebration Saturday, March, 31, at Veggielution Community Farm, Prusch Farm Park, 647 South King Road, San Jose. Cesar Chavez was an incredible leader who actually grew up right in our neighborhood, having worked in the fields and orchards of the East Side. We are proud to honor Cesar’s legacy in this day of service, as he has inspired much of the work we do. This will also be our chance to welcome the spring and get our first summer crops in the ground. Please share in what will be a beautiful and memorable community event. Games and activities for children ages 2 through 12 will be offered from 10 a.m. to 2:30 p.m., and a draft-horse plow demonstration is planned for 10 a.m. to 2:30 p.m. Sponsors include Chikomekoatl, Public Allies, and Movimiento de Acion, Inspirando Servicio (MAIZ). Members of local Mexica/Azteca danza groups will perform a blessing in honor of the spring. Join and help us welcome in the season. Elisa Marina Alvarado of Teatro Vision will offer opening remarks, then join us in planting tomatoes, peppers and eggplants and other summer crops. We will also complete a variety of service projects on the farm. Rice, beans, hand-made tortillas and other foods will be prepared for all participants. This is a potluck, so feel free to bring an item to share. 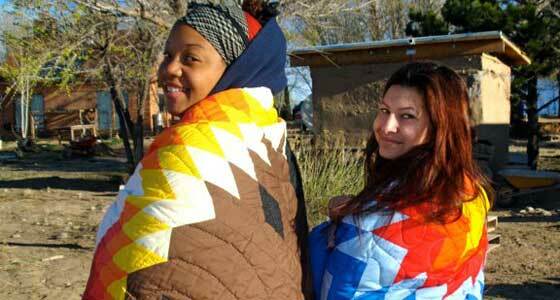 Students and staff enjoy spending time in the Dine' (Navajo) Nation. Photo by Angela Gonzaga. Click on the image to see more photos on SJSU's Facebook. New Mexico may not be some people’s idea of a spring break destination. 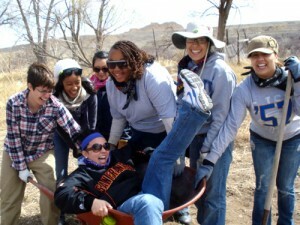 For 17 SJSU students and two trip advisers, though, the state known as The Land of Enchantment served as the setting for five days of service learning.